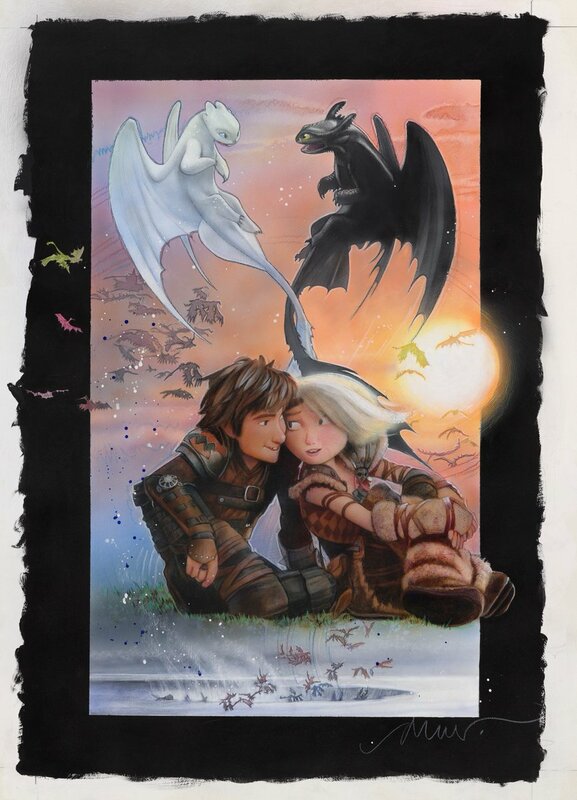 Legendary poster artist Drew Struzan has come out of retirement again to create some post art for DreamWorks Animation’s upcoming film How To Train Your Dragon: The Hidden World. I’m a huge fan of Struzan’s work that includes poster art for films such as the Star Wars saga, the Back to the Future trilogy, the Indiana Jones films, The Goonies, The Thing, Blade Runner, The Shawshank Redemption, and more. It’s so cool that he came out of retirement to make these. It’s great work that captures the greatness of these animated films. 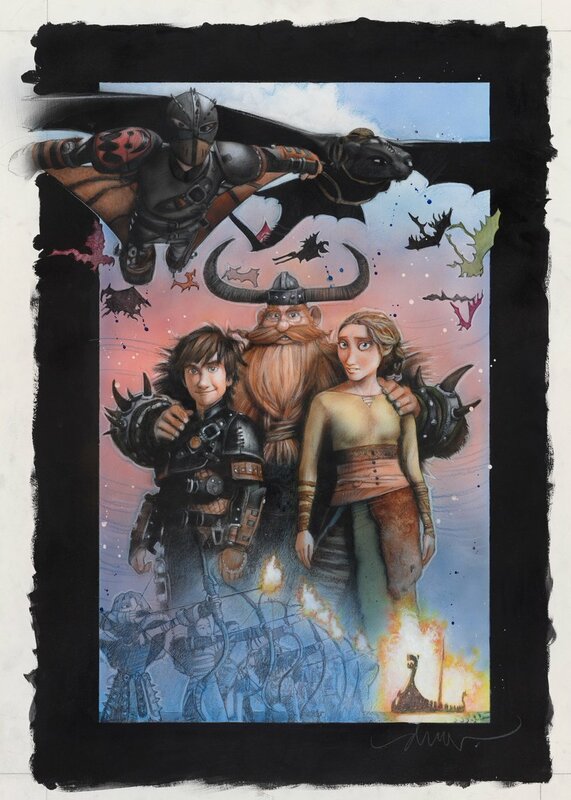 Dean DeBlois returns to direct the film, which will feature the return of the excellent cast that includes Jay Baruchel, America Ferrera, Cate Blanchett, Kit Harington, Craig Ferguson, and F. Murray Abraham. The movie will be released in theaters on February 22, 2019. 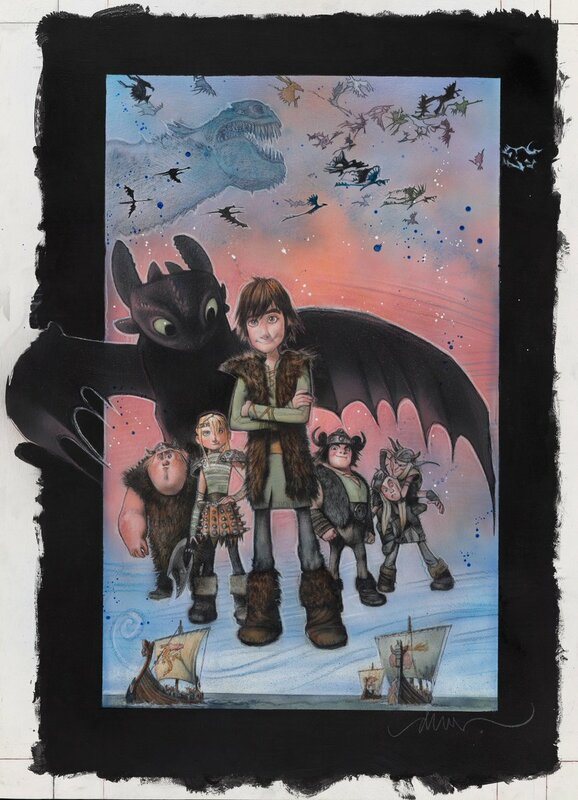 The First Reviews of HOW TO TRAIN YOUR DRAGON: THE HIDDEN WORLD Are In and It Sounds Like a Winner!